Kameel obtained his BA and LLB at the University of KwaZulu-Natal, and then read for his Master’s degree at Lady Margaret Hall, Oxford, as a Rhodes Scholar. Constitutional Law, Administrative Law, Regulatory Law, Public Interest. 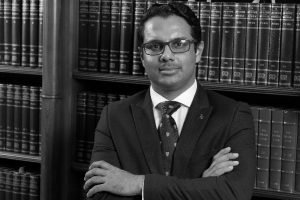 Kameel has a general practice, with a specific interest in administrative, constitutional, and regulatory law matters. He also has a strong public interest practice, for which he usually acts pro bono. Although most of his work is in public law, he also conducts general commercial litigation. Prior to being called to the Bar, Kameel worked in the political and NGO sector, where his work included public policy initiatives and running strategic public interest litigation. In this capacity, he was also responsible for strategic communications, frequently appearing on radio and television, as well as writing extensively for the popular press.